Kritters Thoughts: Annie Hebden has had a lot happen in her life and she hasn't recovered from any of it as it keeps piling on. The current drama is the dissolution of her marriage and her mother in the hospital for early on set dementia, it is in the hospital where she meets Polly who is a patient and will completely change her life. With the help of Polly, Annie is challenged to do a 100 days of happiness challenge where each day she either does something or finds happiness in something each day. 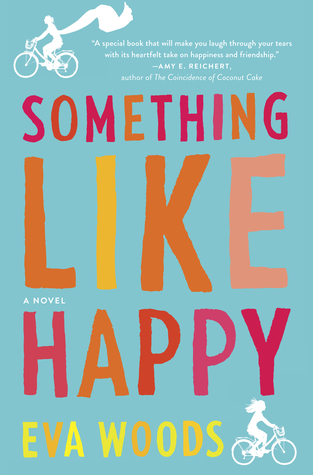 I loved how the book was edited with long and short chapters each with a title of what Annie did or how she found happiness in that day and the short or long snippet of that day. I couldn't divulge too much about the book because it is so worth the read and the little surprises inside are great. There were pages where I was crying and then the next I would be laughing out loud, it was a book full of feels! I read this on vacation and it was the PERFECT vacation read to dip in and out of by a pool or curling up for an afternoon of quiet. I was excited to do research on this author after I finished and find that she has two books on her backlist that I will have to read very soon!